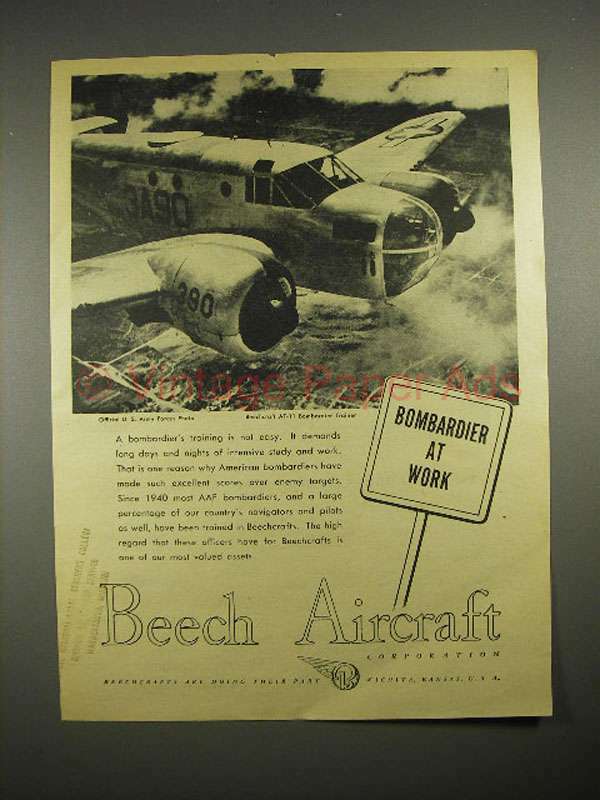 This is a 1944 ad for a Beechcraft AT-11 Bombardier Trainer plane! The size of the ad is approximately 8.5x11inches. The caption for this ad is 'Bombardier at work' The ad is in good overall condition, with a light stamp on the bottom left. This vintage ad would look great framed and displayed! Add it to your collection today! 1977 Beechcraft Duke B60 Plane Ad - Pour it On!